Hearing aids are in your ears for most of the day and their electronic components are constantly exposed to moisture, earwax and other potentially harmful environments. Even with outstanding maintenance and at-home care, your hearing aids will need to be repaired from time to time. Once you’re fit with your new hearing aids, we recommend at least one or two follow-up appointments within the trial period. Programming changes to volume and sound quality will be administered as you adjust to wearing your devices. Once your hearing aids’ programming is optimized, you should plan to come back to our office for hearing aid repairs – camino ent – san jose casix-month and one-year follow-up appointments. After this, you should plan to come into our San Jose office for follow-ups on an annual basis. Hearing device services such as cleaning, troubleshooting and programming are included at no cost during the warranty period. This problem is often related to batteries. Try cleaning the batteries, battery compartment and battery contacts with a soft, dry cloth. If this doesn’t work, you can also: try out new batteries, clean or replace the tubing and insert a new wax filter. Hearing devices can occasionally begin whistling, buzzing, ringing or humming. This is called feedback. Feedback most commonly occurs when the earmold isn’t inserted correctly in the ear or it fits improperly. Feedback can also occur if the hearing device needs programming or repair. When you’re fitted with your new hearing aids, we’ll give you tools and training to ensure you’re able to effectively clean them. We encourage you to call our clinic anytime you feel your hearing aids may not be functioning correctly. 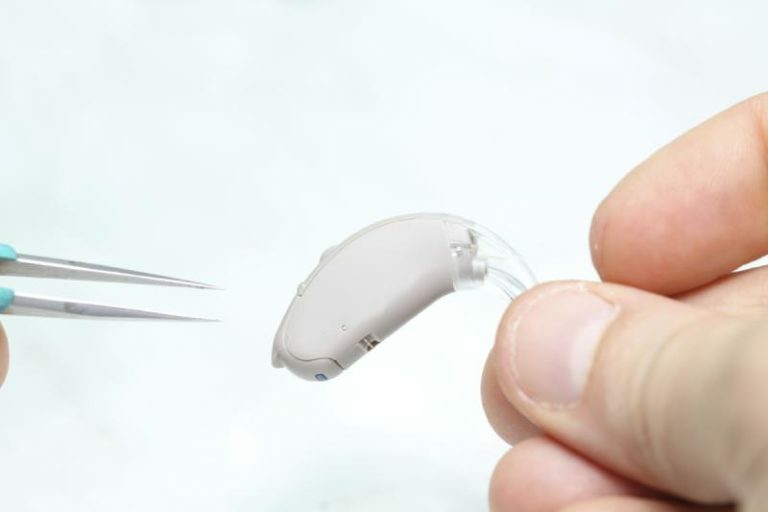 In these cases, we can run the hearing aids on a special computer designed to assess specifications of individually programmed hearing aids. In some cases, your device may be sent to the manufacturer for repair. If it’s out of warranty, there will be a repair cost from the manufacturer. A short-term warranty will be included with repairs for most newer devices. Please let us know if you have any questions.